Use Google Business to gather contact information of businesses in your locality to generate leads from them. Also, try to convert each of your clients into your own personal outlet, everyone wants to make more money and this is the simplest and best work for all. 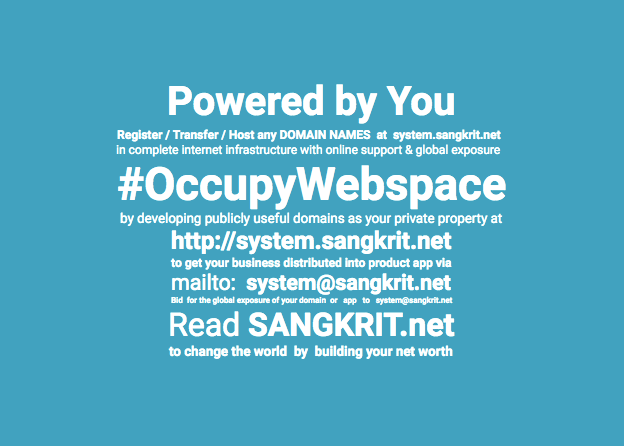 All they have to do is help people around them in registering, transferring and hosting their domains at system.sangkrit.net and for any necessary support, you are to help them out. Doing this you not only make them self-employed but also increase your possibilities of reaching out to more clients in less time. Every time you get a new order of any web/app development project you may simply buy necessary online support from system@sangkrit.net or try to train yourself by learning about the automated web building products at http://system.sangkrit.net, explore SANGKRIT.net tutorials to get everything done yourself to make more money from every single project. For instance: You can build an amazing website in just under an hour with Managed WordPress, Website Builder or Shopping Cart. You can take advantage of the industry-specific designs and WordPress Themes already been created and then customize them to reflect your one of a kind idea.